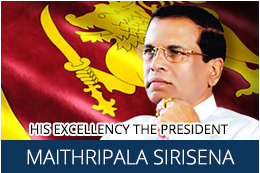 Sri Lanka's 66th Independence Day was celebrated in Singapore on February 4, 2014 with a ceremony in the morning at the official residence of the High Commissioner Her Excellency Mrs Ferial Ismail Ashraff and a reception in the evening at the Shangri La Hotel. The ceremony in the morning brought together over 200 members of the Sri Lankan community who were welcomed by children representing the four main religions of Sri Lanka. The ceremony commenced with the hoisting of the Sri Lankan national flag and singing of the national anthem. Guests lit the traditional oil lamp and Buddhist, Hindu, Christian and Muslim clergy invoked blessings on Sri Lanka and its people. High Commissioner Mrs Ferial Ashraff read out the National day message of His Excellency President Mahinda Rajapaksa which spoke of the importance of further strengthening the Sri Lankan nation under a single flag in a united country. At the end of the ceremony, guests were invited to enjoy a traditional breakfast spread which included Kiribath and sweetmeats. The Mission hosted a large number of guests at the reception in the evening at the Shangri La hotel. Mr Desmond Lee Ti Seng, Minister of State, Ministry of National Development, graced the occasion as the guest of honour. Her Excellency Mrs Ferial Ismail Ashraff addressed the gathering where she spoke of the Sri Lankan Governments efforts towards accelerating the development process especially in conflict affected zones. She also highlighted the broad range of policies and measures that have been implemented in line with these efforts under the able leadership of His Excellency President Mahinda Rajapaksa. Mr Desmond Lee Ti Seng, Minister of State addressed the gathering and spoke of the historical ties between the two countries and the growing economic and political relationships. He also commended His Excellency President Mahinda Rajapaksa on the successful completion of CHOGM which was held in November 2013 and congratulated the government and the people of Sri Lanka. 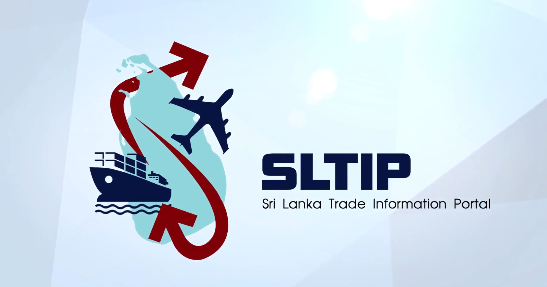 Mr Zainudin Nordin, Member of Parliament ,many and other high ranking government officials as well as participants from the private sector, trade and tourism, industry and commerce symbolized enhanced ties in diverse fields between Singapore and Sri Lanka. Sri Lankans and Singaporeans both from the business and professional communities were joined by members of the diplomatic corps. Many Foreign heads of missions in Singapore as well as representatives were also present at the occasion. The Shangri La Ball room entertained over 200 guests to an unforgettable evening. The guests were presented with a beautiful gift bag that included branded tea from Sri Lanka and a souvenir.